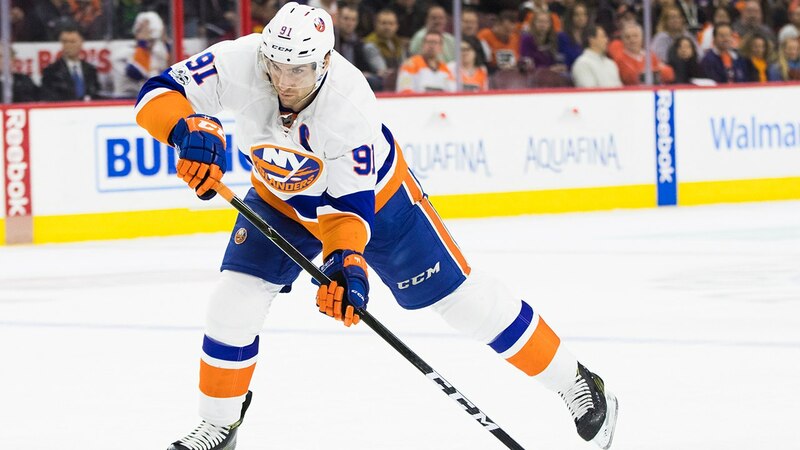 NEW YORK (WABC) -- Watching John Tavares on the ice is one thing, but his pending free agency off the ice is another thing to watch. He is without question entering the prime of his NHL career. Because of that, expectations are that his salary demands could target 10 million dollars per year. That would be quite a commitment from the Islanders, not only to Tavares but the entire fanbase. Let us not forget this teams unstable future in terms of an arena. Conditions at the basketball friendly Barclays Center do not favor the Islanders. A move back to the newly refurbished Nassau Coliseum is unlikely. However, there are constant talks of the team moving to a new arena to be built at Belmont Park in Elmont. All of these distractions can cause havoc on a teams performance, not to mention the morale in the locker room. John Tavares is the team captain. How can his teammates rally around him, if he himself is not committed? Not even his point per game average, and being one of the NHL's elite players can fix that. One thing can, and that's winning. It's highly unlikely the team will perform the latter. Look for this saga to play out as the developments of their new arena do. The last thing the Islanders and their fans want is for Tavares to hit the free agent market. He will definitely be lured by other teams, especially those with an arena to play in. As the season moves along, the Tavares camp will keep a close eye on the progress of their impending home. Look for this to unfold sometime in 2018. Islanders fans may get their long awaited good news later in this season. If a new arena is in its plans, so will be Tavares. If not, you will see the distractions play out on the ice and head into free agency next summer.